A Komatsu PC 650 LC trackhoe with a four cubic yard bucket is being used to mass excavate the pipe trench for the Navajo-Gallup water supply project. 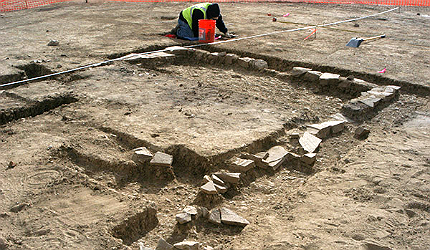 Images courtesy of US Bureau of Reclamation. The 45-inch diameter pipeline will cover about 280 miles (450.6km). Image courtesy of US Bureau of Reclamation. 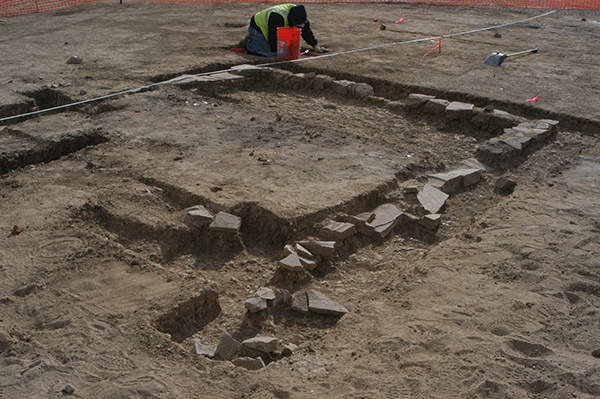 Archeological surveys being carried out at the Navajo-Gallup project site. Image courtesy of US Bureau of Reclamation. 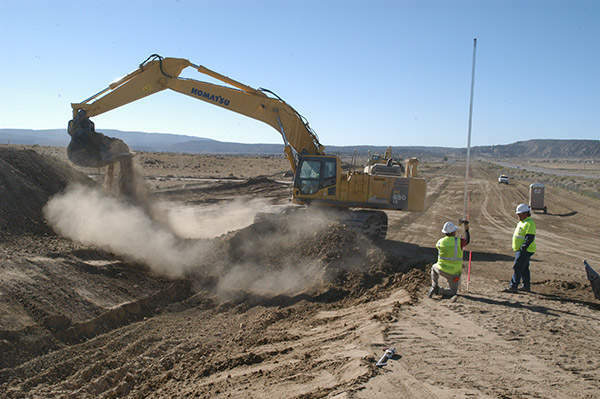 The US Bureau of Reclamation started the construction of the long awaited Navajo-Gallup Water Supply Project (NGWSP) in New Mexico in June 2012. First flow of water from the water supply project is expected to commence within two to three years, with the entire project completion scheduled for 2024. The construction of the NGWSP will involve up to 400 workers, with an additional workforce of 200 people involved during its peak. The project, with an annual capacity of conveying 37,376 acre feet of water, will serve the future needs of 250,000 people by 2040. The total investment on the project is estimated to reach $1bn. The first construction contract for the project was awarded to McMillen in April 2012. The $10.75m-value contract comprises of laying a pipeline measuring four miles (6.4km) in length and 42-inch in diameter at McKinley County. "Construction of the NGWSP will involve up to 400 workers, with an additional workforce of 200 people involved during its peak." The project idea was first conceptualised in the 1960s. It kept lingering until the authorisation of the project was finally given in March 2009 by the Omnibus Public Lands Management Act of 2009. Authorisation of the project settled the 25 years of dispute concerning the amount of water to be distributed to the Navajo Nation and other parts within New Mexico from the San Juan River. The Environmental Impact Statement and Planning Report of the project were issued in July 2009. NGWSP also forms part of the 14 high-priority infrastructure initiatives issued in 2011 under the Presidential Memorandum to identify and carry out environmental reviews and permit decisions for projects with scope for generation of jobs and early practical functioning. The project is being carried out to alleviate the targeted areas from long standing water problems faced due to the alarming decrease of ground water. The city of Gallup alone has witnessed a drop in the groundwater level by about 200ft in the last ten years. Construction works will comprise of laying a delivery pipeline stretching about 280mi (450.6km), two water treatment plants, storage tanks, 24 pumping stations and an overhead electrical transmission line to supply power to the pumping stations. 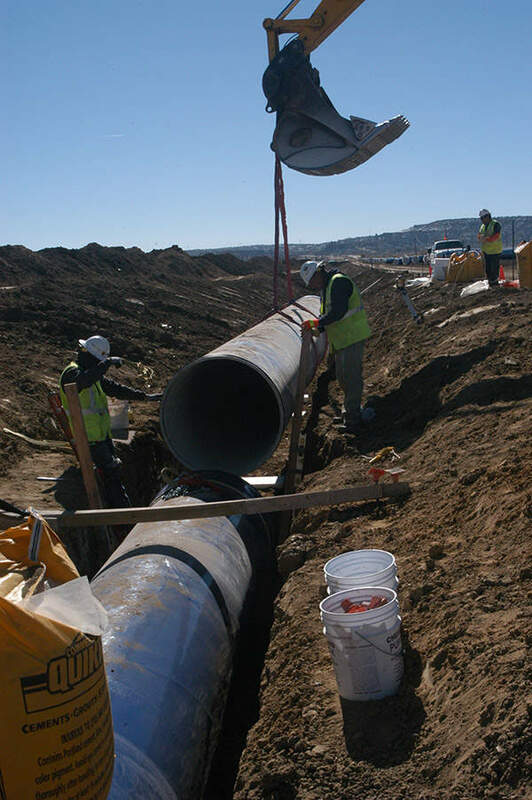 Construction and design of the NGWSP will be implemented in several reaches, which will be executed separately by USBR, the city of Gallup, Navajo Nation and the Indian Health Service. The project will supply water from the San Juan River and existing Cutter Reservoir for municipal and industrial use in the eastern parts of Navajo, southwestern parts of Jicarilla and the city of Gallup. "The project, with an annual capacity of conveying 37,376 acre-feet of water, will serve the future needs of 250,000 people." Water from San Juan River, which is collected in a reservoir created by the existing PNM Diversion Dam, will be diverted through the river intake. Water from the intake will flow through a self-cleaning screen to a well, from where it will be pumped using low-head pumps into settling ponds where sediments will be removed. The water will then be treated at San Juan Lateral Water Treatment and Pumping Plant, before being conveyed to the lateral for supply. Water from the Cutter Reservoir will be conveyed to the Cutter Lateral Water Treatment and Pumping Plant which will be constructed at the foot of the reservoir before being conveyed into the Cutter Lateral, which will be made up of re-lift pumps and the pipeline. US Department of the Interior is providing a $43m financial assistance for the construction of the lower reaches of the Cutter Lateral. The 38.25MGD San Juan Water Treatment and Pumping Plant will incorporate seven ultrafiltration units, seven ultraviolet (UV) disinfection units, two sediment drying beds and two wastewater ponds. The facility will also include mixing and flocculation tanks, buildings for storing of chemicals, a four-unit pumping station, a building for operation and maintenance (O&M) and electrical control equipment. Cutter Lateral Water Treatment and Pumping Plant on the other hand will be equipped with three ultrafiltration units, three UV disinfection units, including all other facilities equipped into the San Juan Water Treatment and Pumping Plant. It will have a treatment capacity of 5.39MGD. The San Juan-Chama Drinking Water Project in New Mexico was undertaken to supply up to 90% of the metropolitan area of Albuquerque with clean drinking water. The Buckman Direct Diversion (BDD) Project is an innovative water supply project that is co-owned by the city of Santa Fe and Santa Fe County in New Mexico, US.